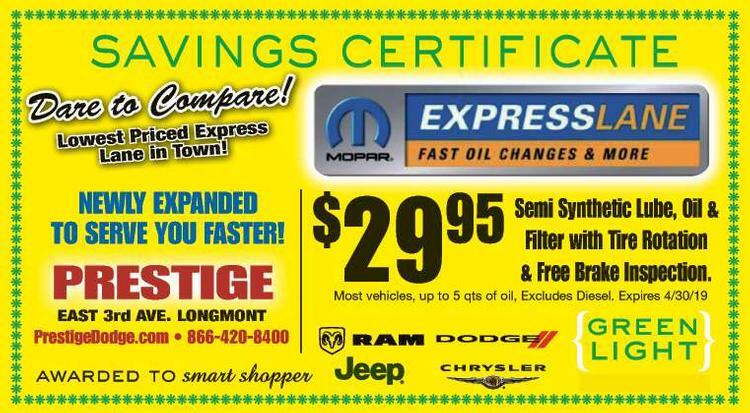 Prestige Chrysler Dodge Jeep & Ram Inc. is located in Longmont, Colorado. 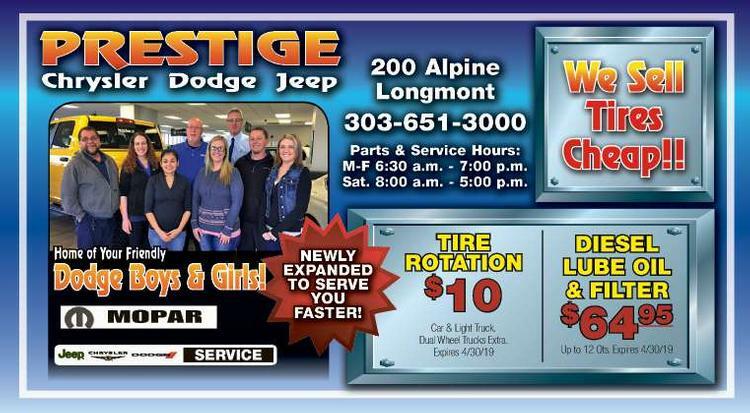 Our car dealership has a great selection of new and used RAM, Jeep, Dodge and Chrysler cars, trucks, vans and SUVs for the Denver, Boulder and Fort Collins, CO area. If you're searching for a new car, truck or SUV browse our inventory for the RAM 3500, RAM 2500, Wrangler Unlimited, Charger, Journey, Town & Country and 200 in Longmont. If you would like to test drive any of these models, come down to 200 Alpine Street.